Go ahead and admit it. Some people are easier to love than others. Some people annoy us. Some make us uncomfortable. And some … well, we just loathe them. Maybe he’s a political figure. Maybe she’s the person at the next desk. I wonder if God ever sees us that way. I know, I know, God loves everybody, but I wonder if He just finds some of us easier to love. One afternoon as I drove home down I-65 in Nashville, a pickup truck passed me. I actually laughed out loud (more of a snort) when I saw his bumper sticker: JESUS LOVES YOU, BUT I’M HIS FAVORITE. You’ve thought this once or twice, haven’t you? God loves us unconditionally, but our human tendency is to attach conditions. 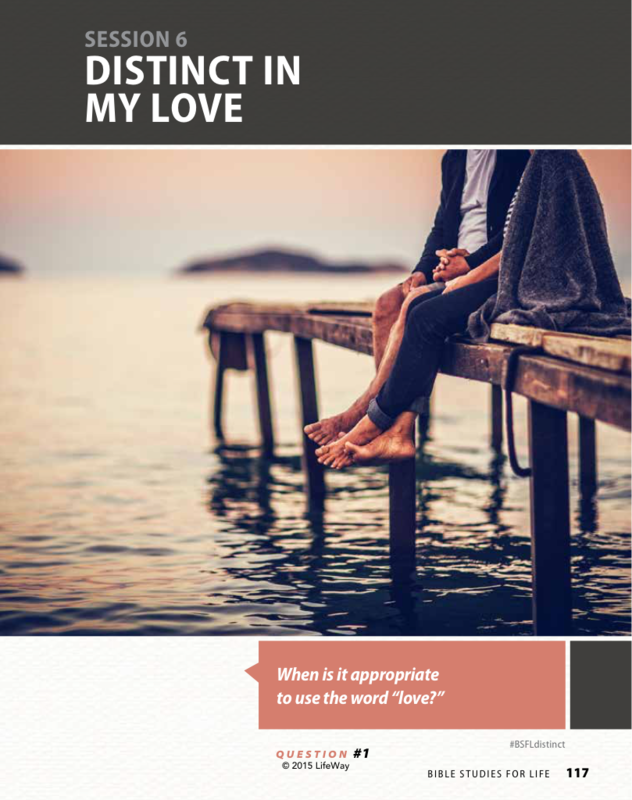 If you’ve ever felt like you got the short end of the stick—or whatever euphemism you use for getting a raw deal—you may have asked God, “Why me?” Hidden in that question is a comparison to others—why me and not him?—which is a subtle way of calling God out for loving someone more and giving him a better deal. Then there’s the guy who’s just an annoying jerk. When we hear that he got a raw deal, we say he got his comeuppance—a snooty way for saying he got what he deserved. That attitude is like handing God a karma card. We assume He sees the guy as irritating as we do. We would do well to constantly remind ourselves that God does not love like we do. “God demonstrates his own love for us in this: While we were still sinners, Christ died for us” (Rom. 5:8). No, God does not love like we do. But we are called to love like He does. “Dear friends, since God so loved us, we also ought to love one another” (1 John 4:11). When Jesus preached the Sermon on the Mount , He laid out what it looks like to live as His follower, a citizen in the kingdom of God. As He concluded the part about loving our enemies, Jesus added this tag: “Be perfect, therefore, as your heavenly Father is perfect” (Matt. 5:48). So what do we do with that annoying person? We love him. God loves an annoying jerk like me. I can do the same for others. This post supports the study “Distinct in My Love” in Bible Studies for Life.